We offer complementary business services for recovering by-product streams that contain precious metals. Our mixing and granulating technology can be used to manage mining by-product streams comprising of fine particles and dust. 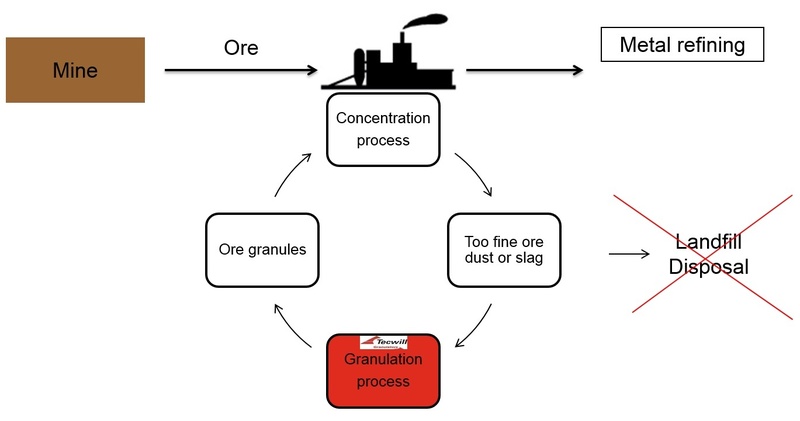 A solution using Tecwill Granulators Oy products and services will increase the productivity of the mining operation by recycling by-product containing valuable metals back into the production process. This creates a safe and environmentally friendly business model and lessens the environmental impact. Contact us - let's solve your problem together.